3 Bedrooms in Orange Beach under $200,000!!! This furnished 3 bedroom 2 bathroom is ready for its next owner! It has been a great rental but would also make a great primary residence or second home. It is approved for USDA, FHA, VA and conventional financing. Orange Beach Villas is a Key West inspired community with a lake in the middle complete with a gazebo. 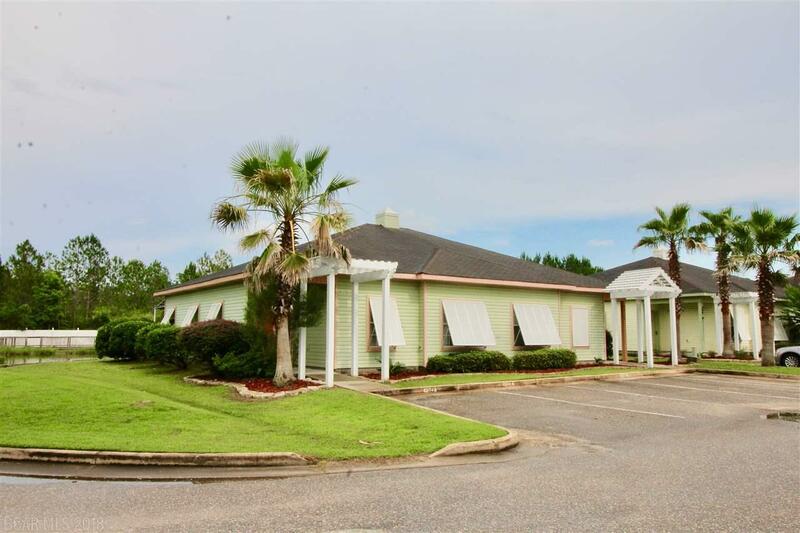 It is located right next to the Orange Beach Sportsplex which makes it an excellent rental! This condo is very spacious with large bedrooms and closets. Relax on the covered patio and enjoy the views of the lake. Pets are welcome at Orange Beach Villas. The master bedroom features a king sized bed, the second bedroom has a queen sized bed and the third bedroom has 2 twin beds. The living room has a sleeper sofa for even more room when company comes to visit! The kitchen is a chefs dream with a well stocked cabinets and spacious dining area. You can also use the grill on the patio to cook right outside your door! Trane AC with a programable smart thermostat. You can control the thermostat from anywhere! Call for a showing today!